G Plan Upholstery Now Available at La Casa. We're pleased to announce the arrival of this outstanding brand to our collections at La Casa. This manufacturer is known for their comfort and recliner sofas, giving excelllent quality at great value for money. We have some of the best selling models from this world famous brand available in store. 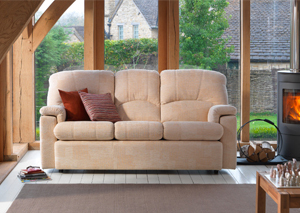 All models are available in a choice of fabrics and colours, as well has with our without reclining options.